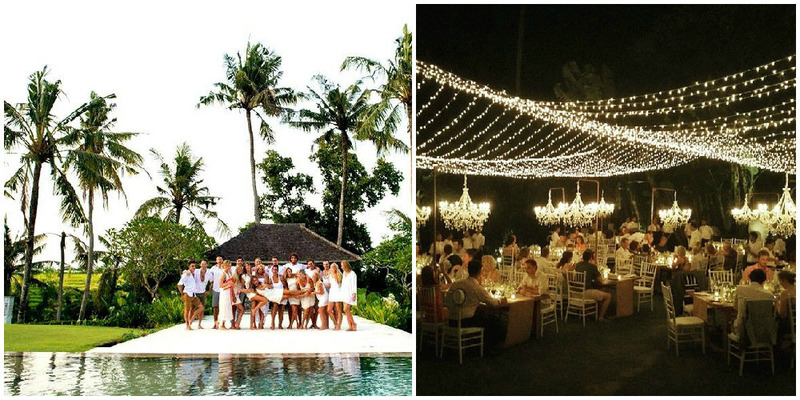 With more and more people looking to do something more unique for important events like weddings and birthdays, overseas parties are quickly gaining traction. 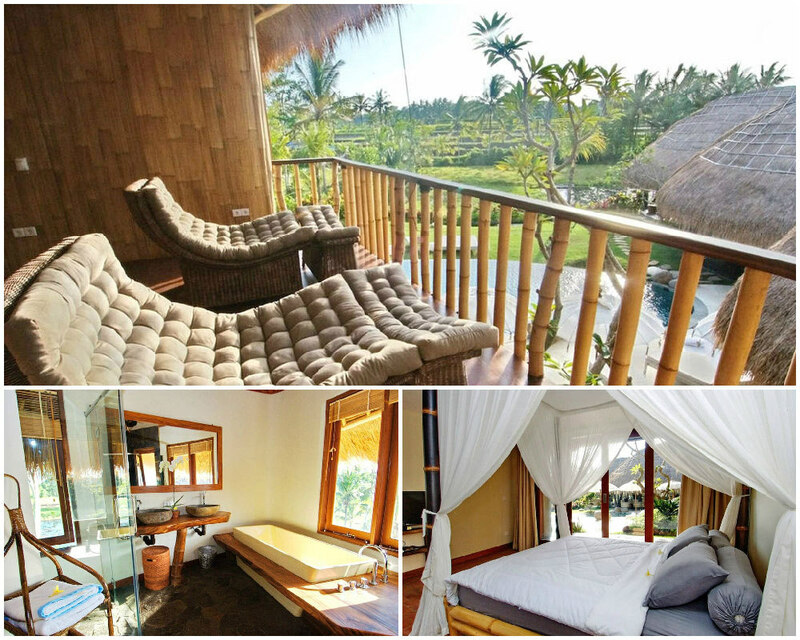 Of course, who could forget Bali, the place that offers you both scenery and experience at a cut-throat price? 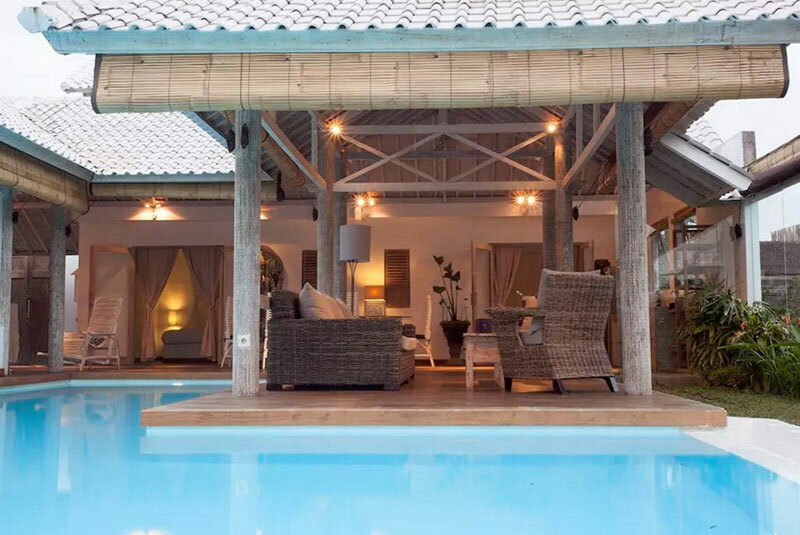 If you’re planning to have the time of your life during a special occasion, check out the following villas that we’ve picked out – they’re practically made for parties, and made for your budget. 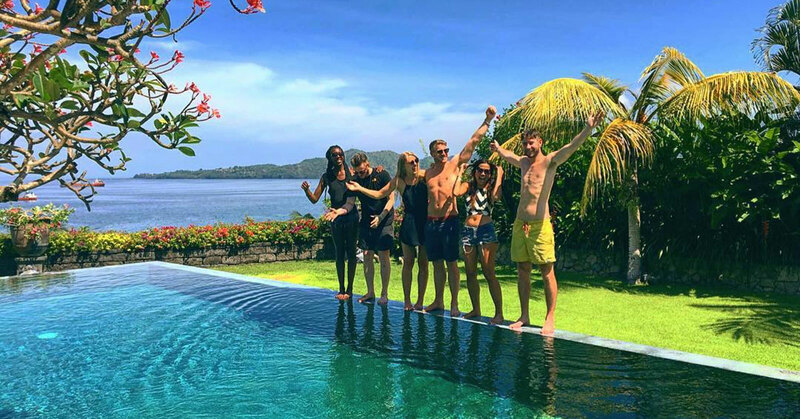 We all know searching for the ideal party location can be difficult when you have too many guests – and that’s especially so when you’re holding the party overseas, and most likely have to take care of guests’ accommodation as well. 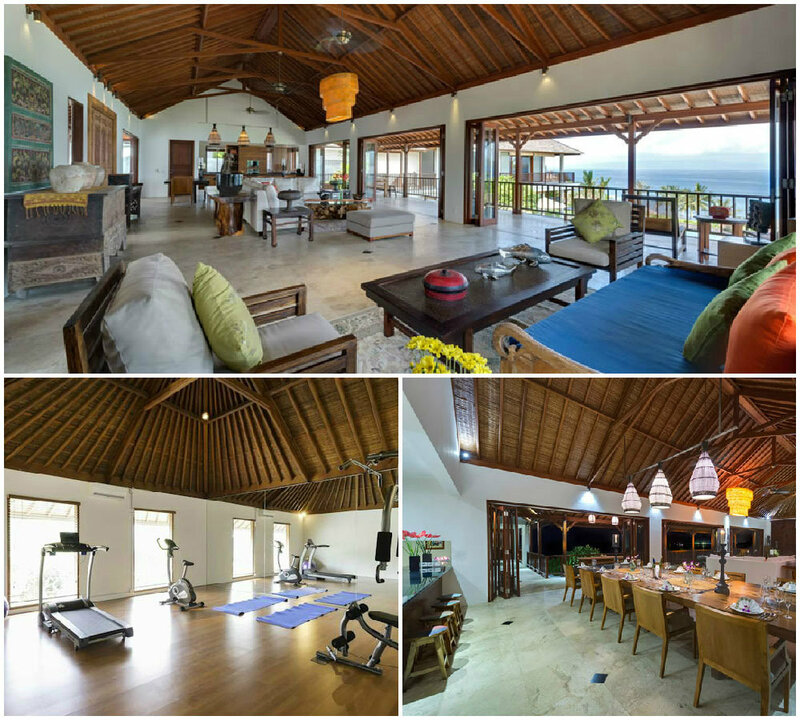 Oshan Villas can easily solve your dilemma. 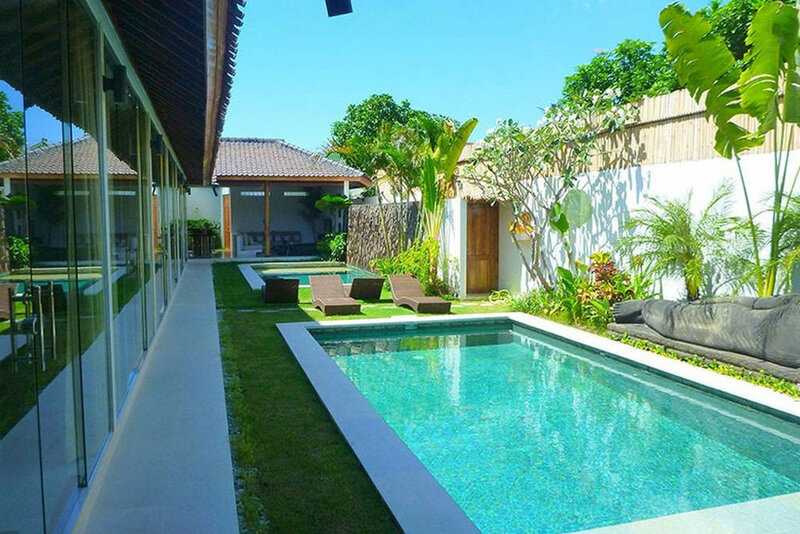 This spacious compound in Canggu has a total of six four-bedroom villas for you to choose from, and if you have more guests, you can even choose to just book the whole place. 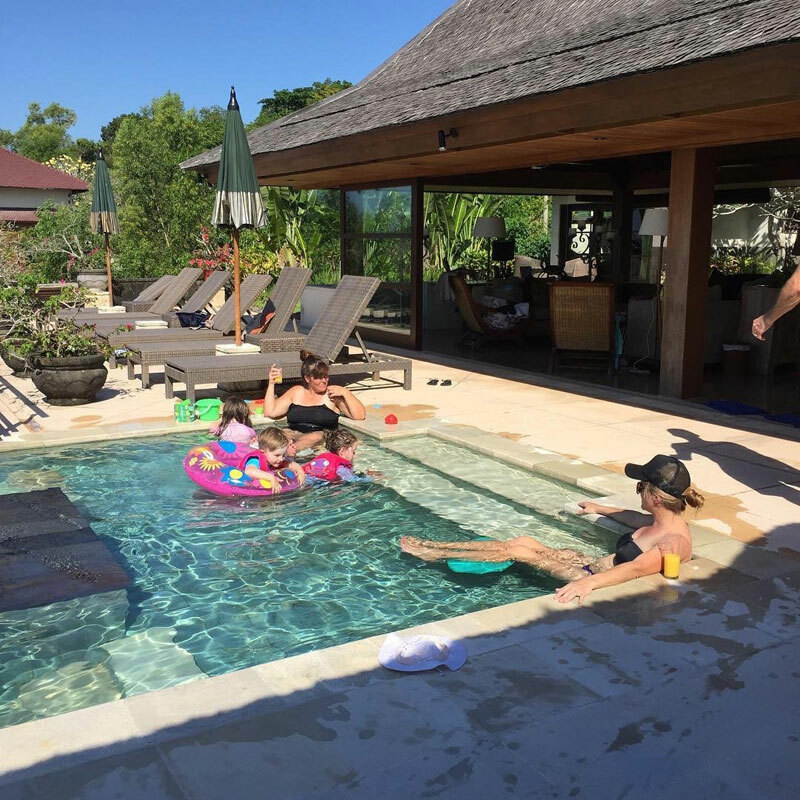 Each villa also has their own private pool, so everyone will have a place to hide from the island’s signature heat. 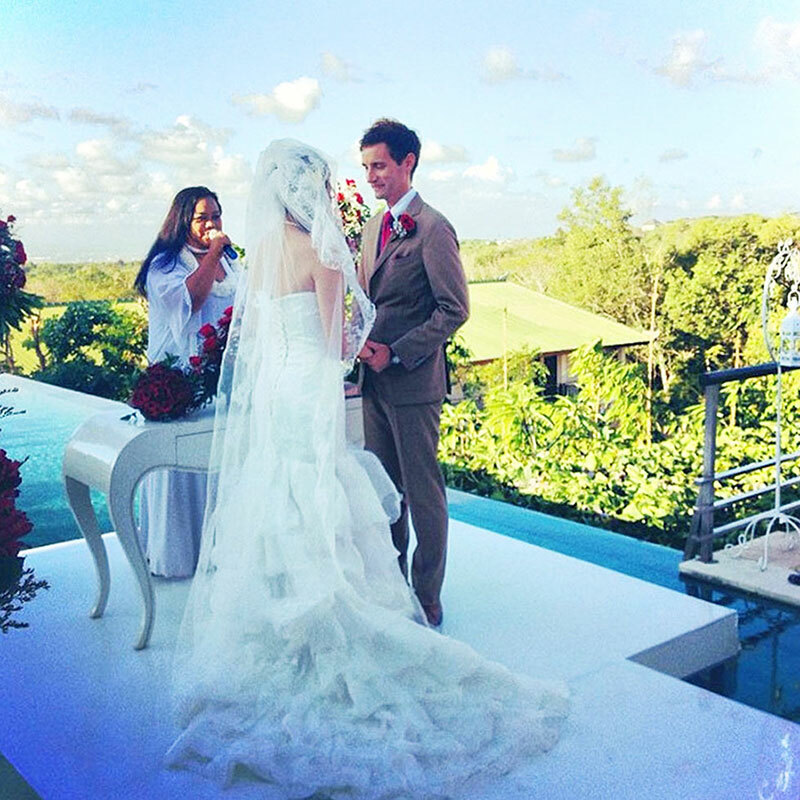 Oshan Villas also has their own team of event planners for parties and weddings. With professional guidance and the best elements, how could your party not be the best one ever? Are you a fan of opulence and European culture? 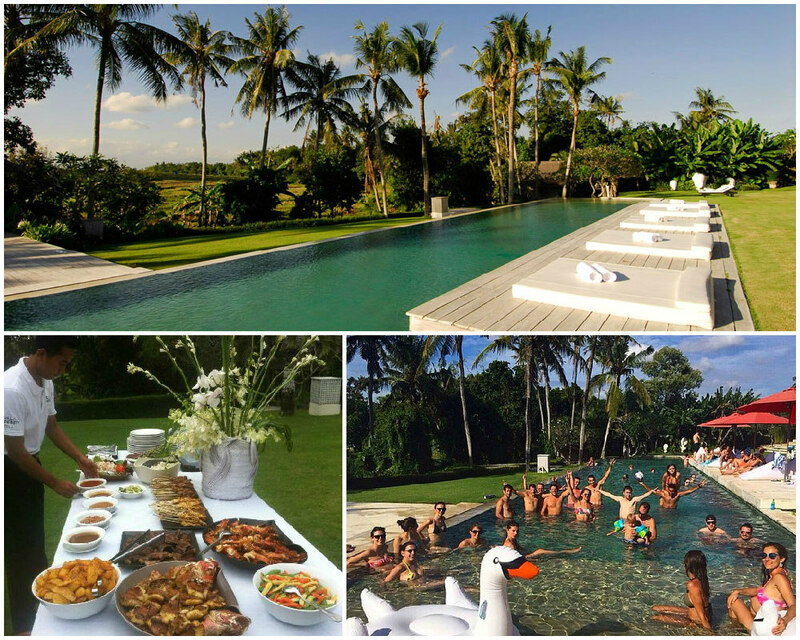 If you’re bent on diverting from the norm and organising something like a masquerade ball – then the Cocowhite Villa will best fulfill your agenda. 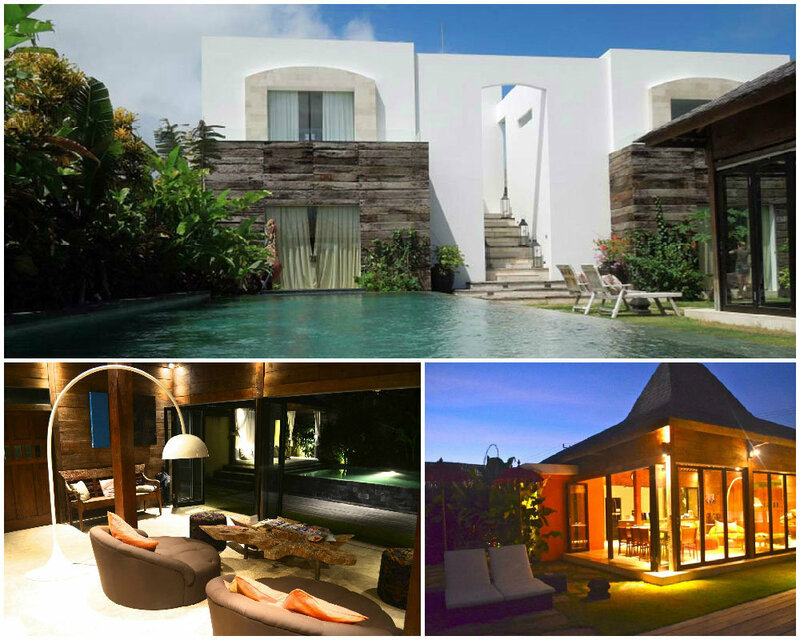 This villa is especially suitable for couples who are throwing a wedding party. You won’t have to worry about losing your privacy because of your guests, as there is a separate studio for two people available. 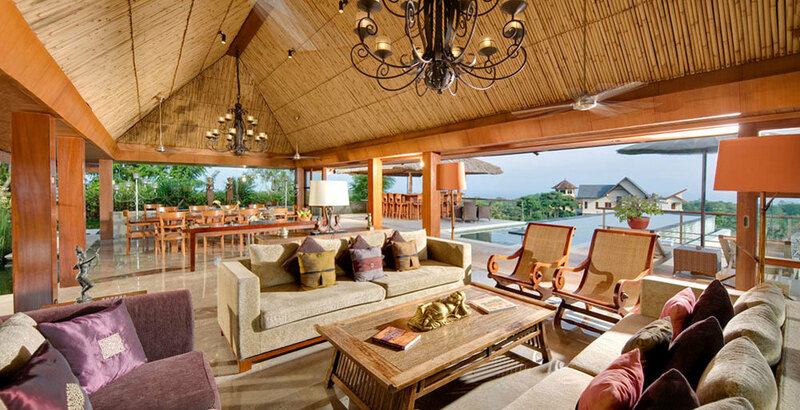 The villa’s open lounge areas are also prime locations for guests to mingle and talk. 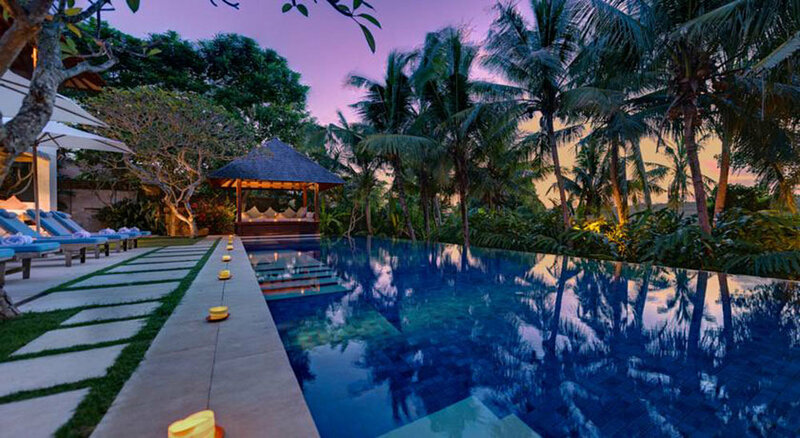 At night, when the villa lights up with a warm glow, it truly is a sight to behold. 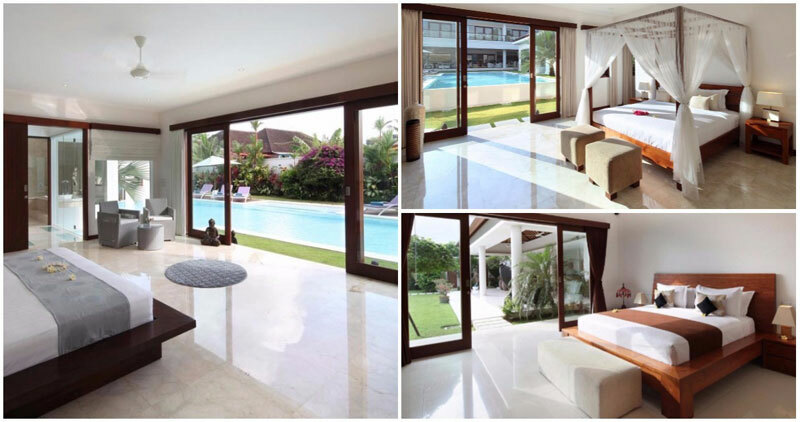 Also, Cocowhite Villa is only a short distance away from the beach, as well as major shopping areas in Seminyak. So rest assured, there’ll be plenty of ways to have fun. 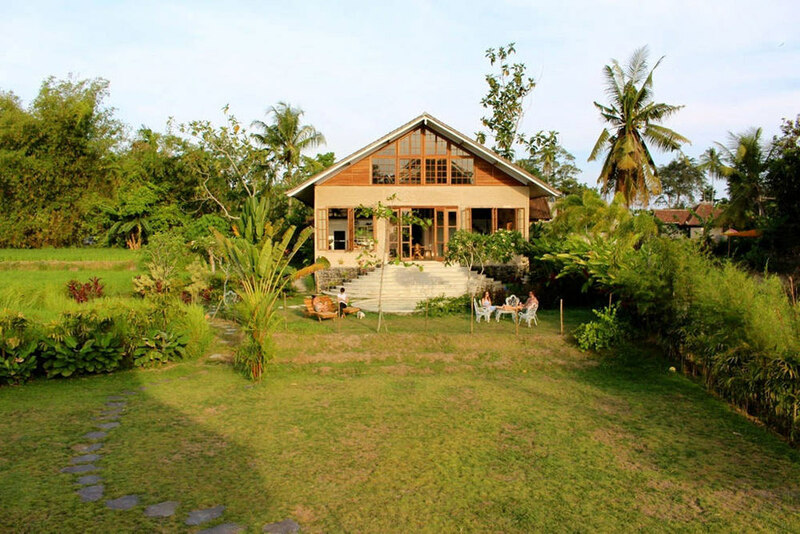 If you just want to have a cozy family party away from the hustle and bustle of mainstream tourist areas, why not go for Villa Asada? 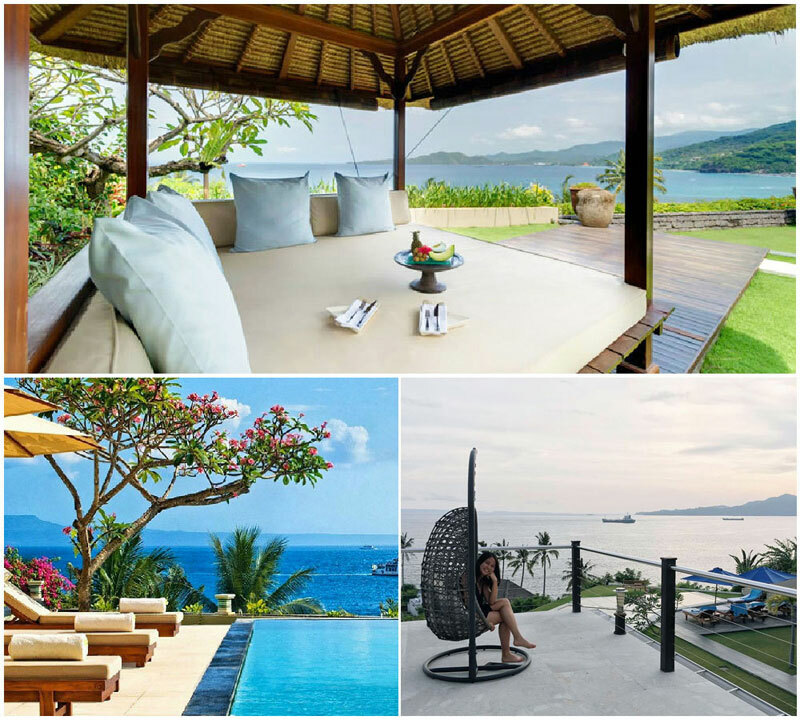 This picturesque villa, perched on a breezy hilltop in Eastern Bali, is truly the go-to destination for anyone who wants to have a great outdoor party. 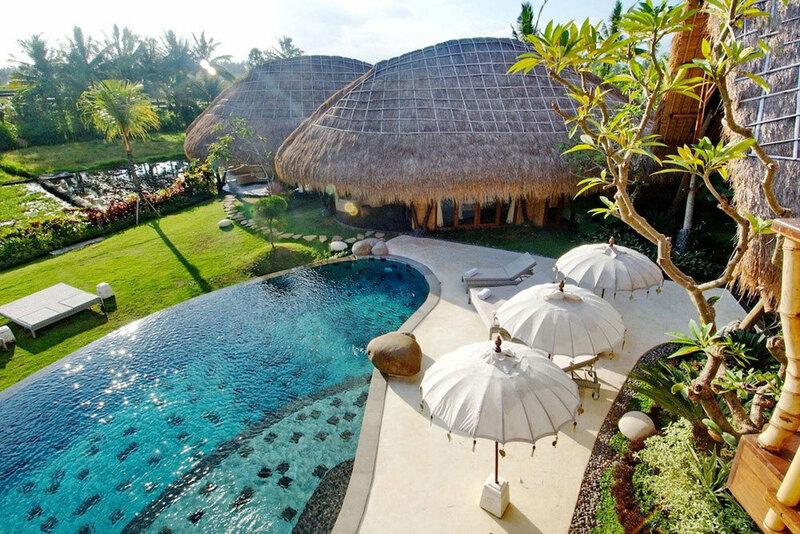 The compound consists of large open lawns and terraces surrounding a gorgeous pool, which faces the ocean. 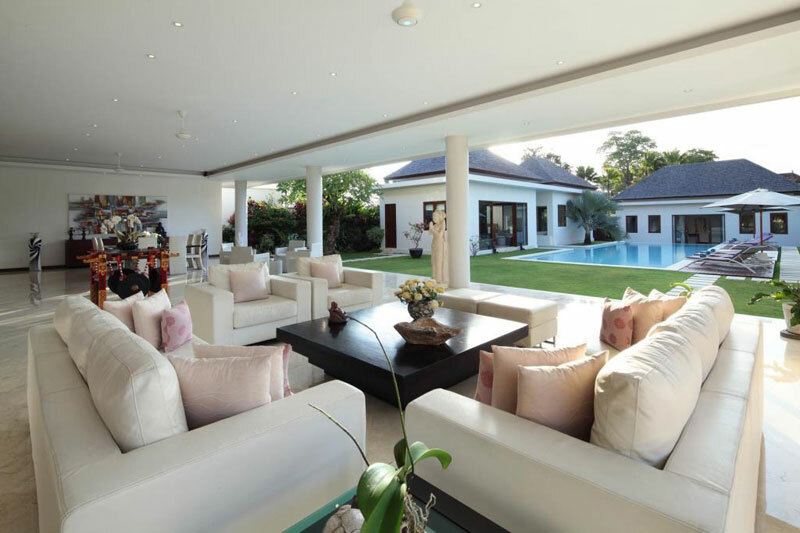 The villa, likewise, also makes use of a more open concept, with spacious living and dining areas that can accommodate even large groups of party-goers. 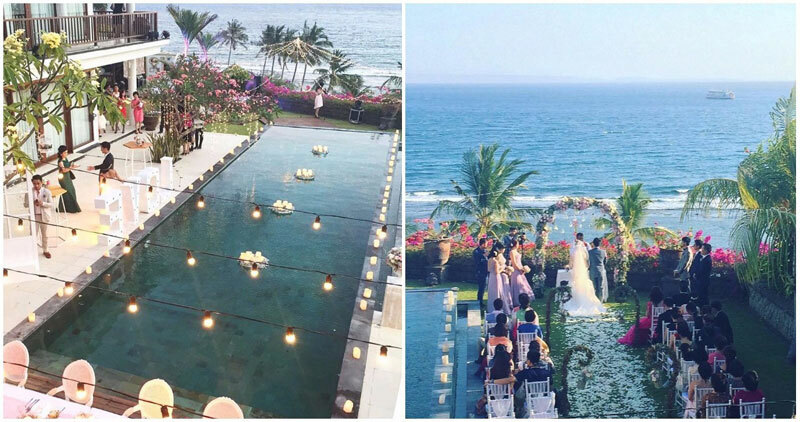 Besides, its hilltop and beach-side location ensures a nice sea breeze all day long, adding that extra drop of perfection to your special day. A wedding is a once-in-a-lifetime affair, while birthdays are an important yearly milestone; it makes sense to only want the very best, doesn’t it? 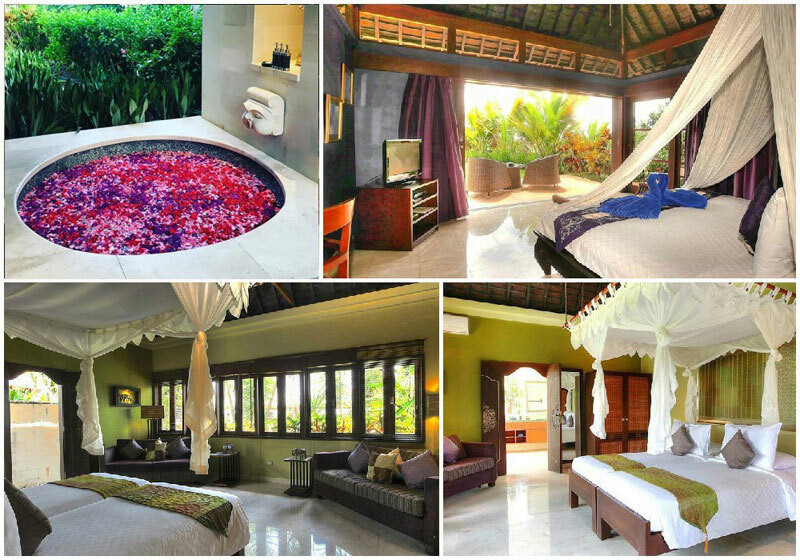 At Indah Manis, you’ll have access to a range of high-end facilities that will definitely have you feeling like the king of the world. 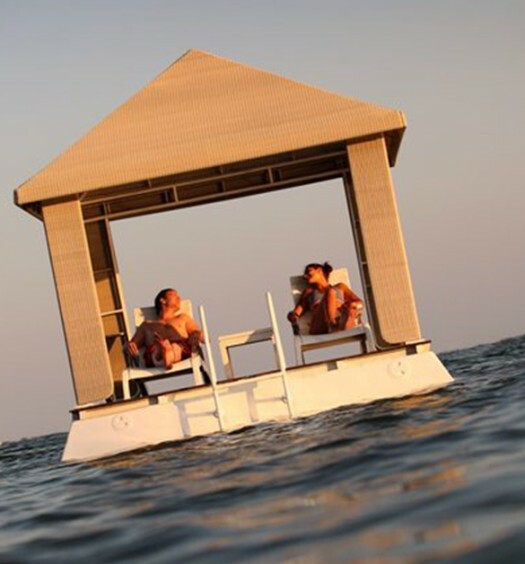 Chill out with your guests in a 14-m infinity pool with a gorgeous view? Check. 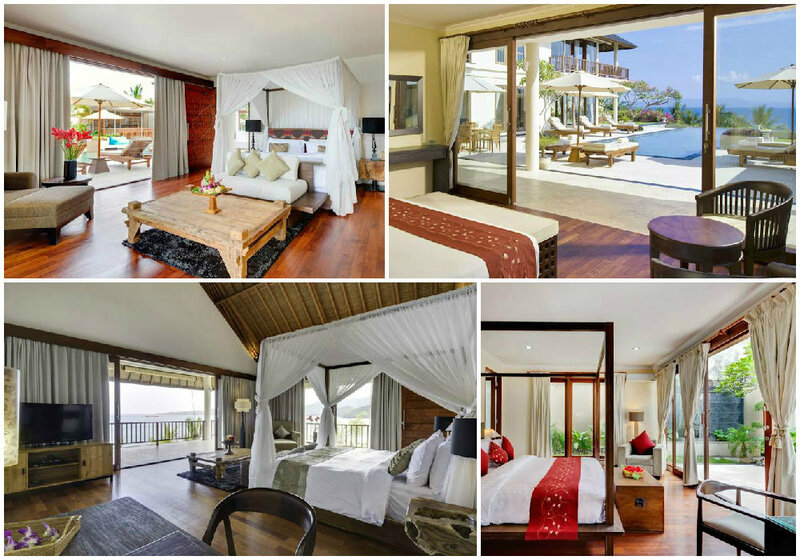 Relax at the in-house spa, down a champagne at the bar, and go on a movie marathon in the movie library? Check. If all these aren’t quite what you’re looking for in a party, you can even head out for some outdoor action at the nearby beaches and world-class golf course. You can’t say that doesn’t sound good. Aiming for a little variation by going rustic? 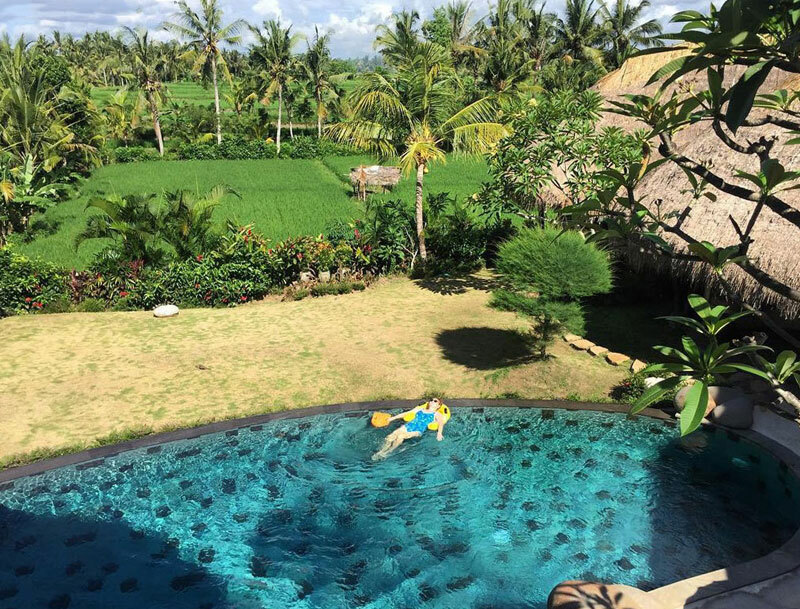 This classy villa in Canggu is surrounded by rice terraces all around, providing you with the best views of traditional Bali. It might not be as abundantly furnished with modern luxuries, but who needs those when you can get them at home? 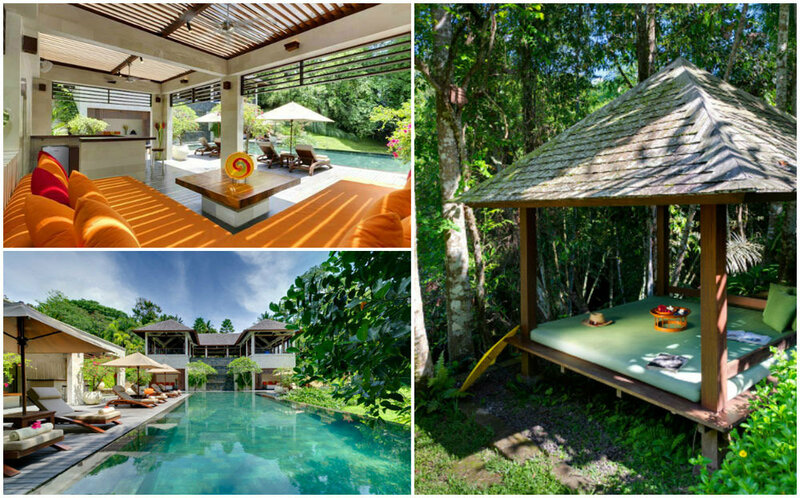 Here, it’s all open lounges and scenic pavilions, as well as a large infinity pool nestled right among the trees. 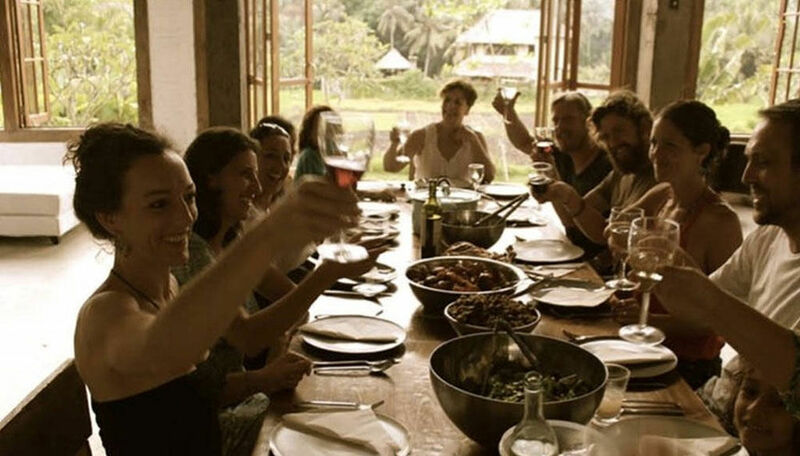 No worries about having to live the rural life, though, as Villa Sabana is still fully equipped with all the necessities to make your party a successful and comfortable one – including barbeque equipment and air-conditioned rooms. 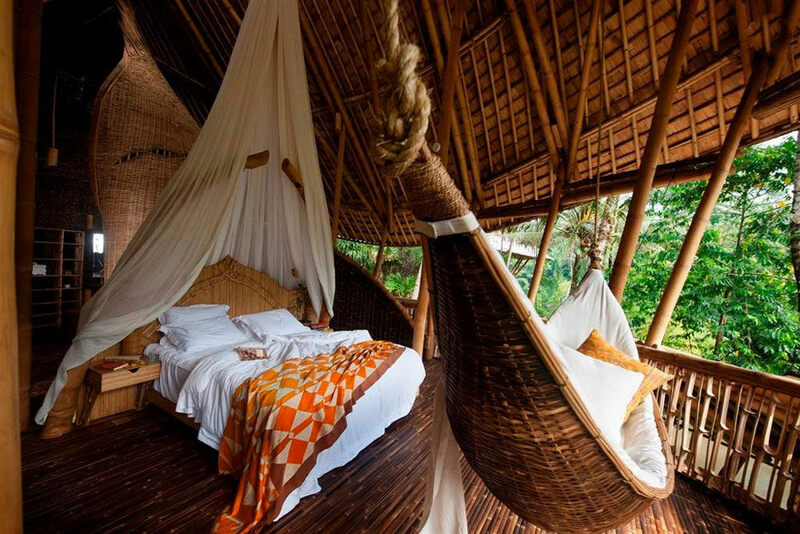 If you want to have a party that allows you to get in touch with nature, this is the place to be. 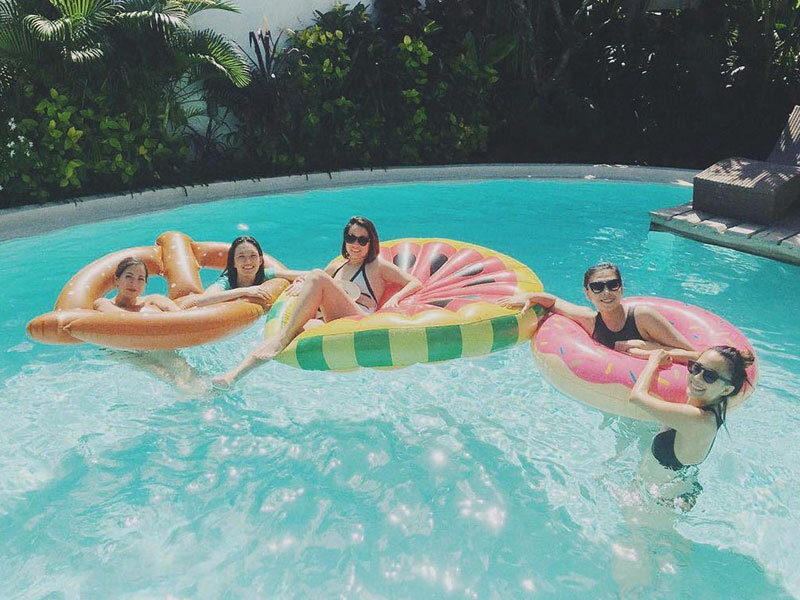 No need to be jealous of your friend’s gorgeous pictures of their unbelievably Instagram-worthy parties. Now, you can be a special snowflake too. 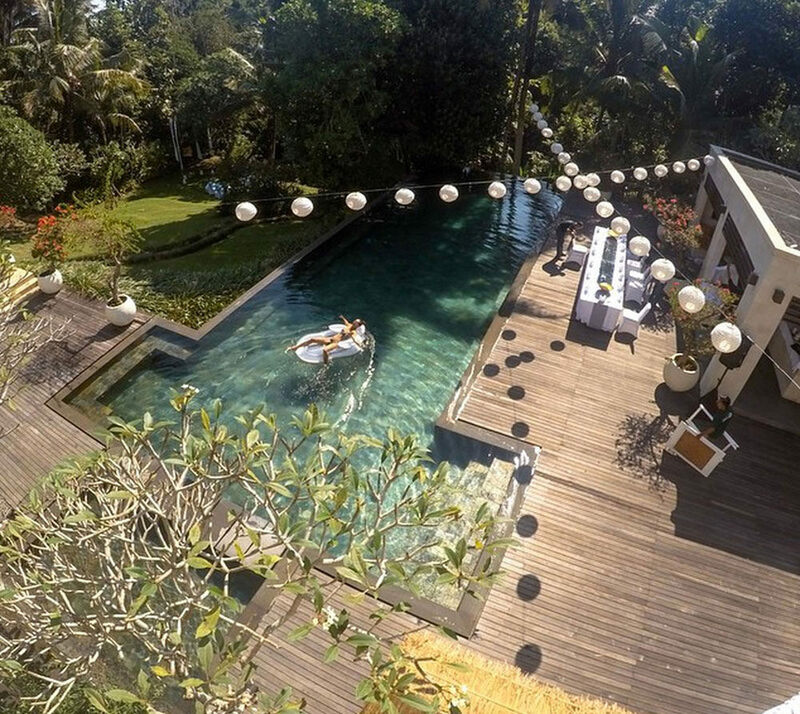 Instead of partying it out at another one of those villas, this traditional Balinese-style villa can not only give you a different experience, it can also serve as a unique backdrop for your photos. 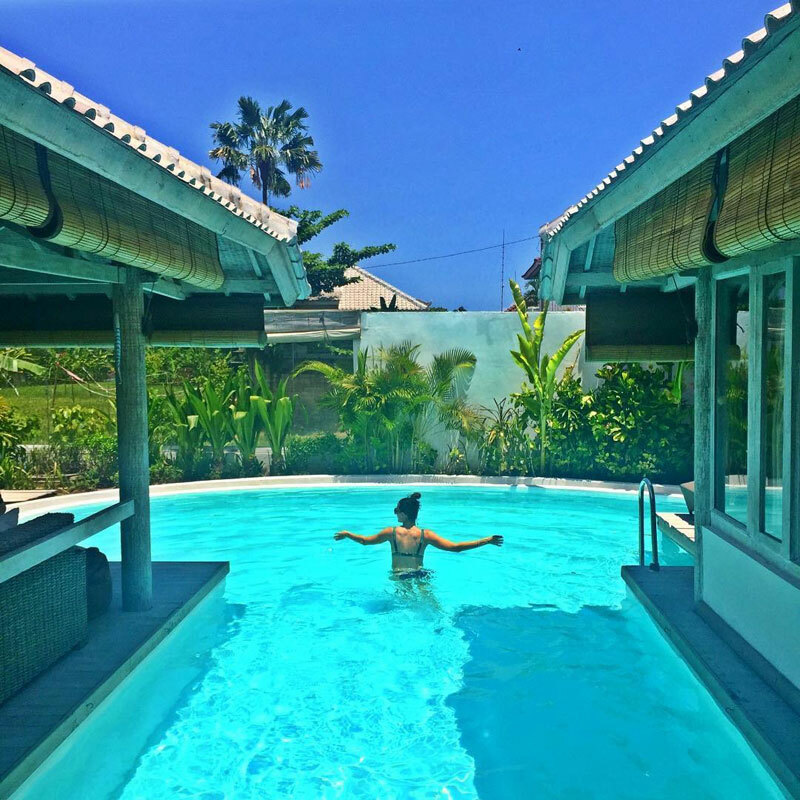 Omah Padi also has a large open-air pavilion right next to an equally large pool, making it a great place to hold parties for large groups of people. So what if it rains? You can all just huddle under the shelter and enjoy a glass of champagne. 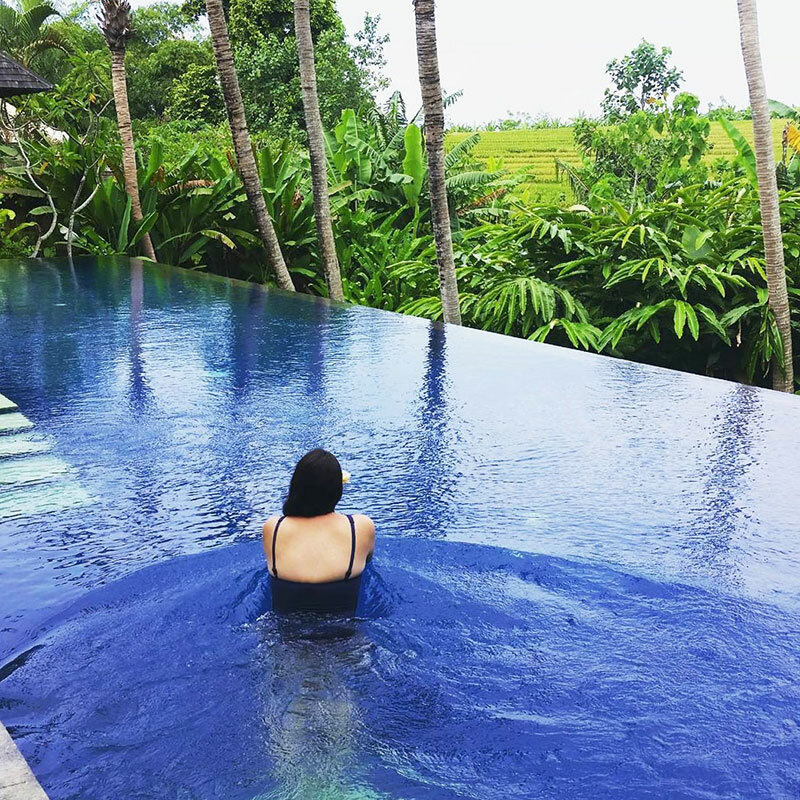 The infinity pool also overlooks the beautiful rice fields that stretch out before the villa. If you’d like to take some seriously gorgeous wedding photos, we suggest you do it here. 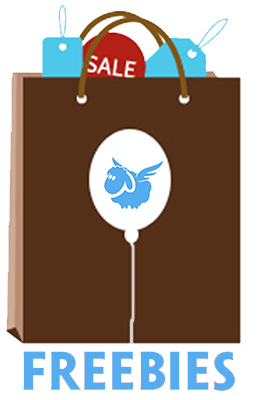 Want to have the party of your life with your friends but can’t leave the kids behind? Well, why not bring them along? 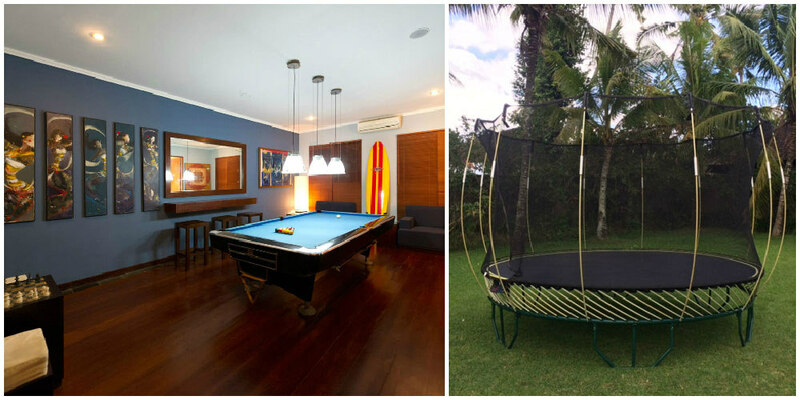 Any young child will be more than adequately entertained at The Arsana Estate. 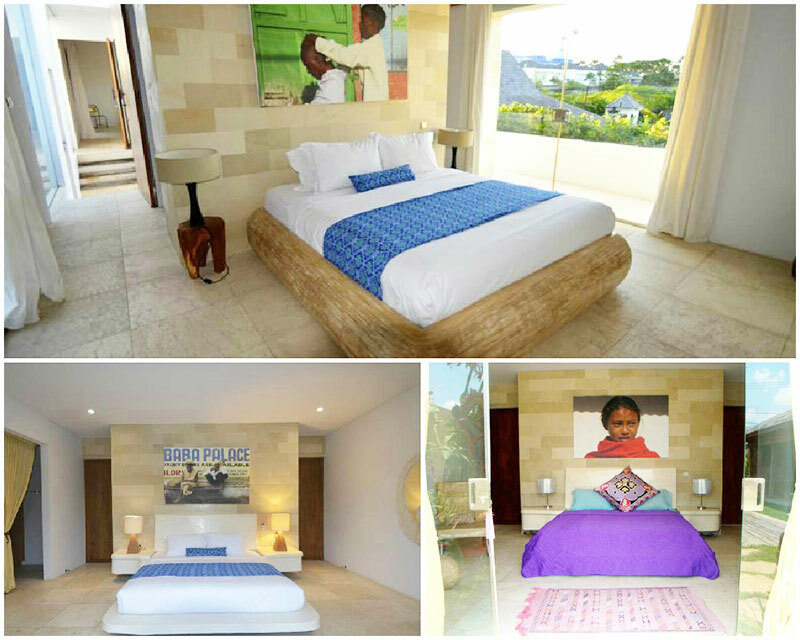 As the owners have three young kids themselves, this villa is extremely kid-friendly. Sporty kids can have fun with the goal post on a sprawling lawn, and the estate also comprises of a kiddy pool, playground, sleeping quarters for children; and a whole library of DVDs to keep the pickiest kid occupied. Your partygoers will not be let down either. 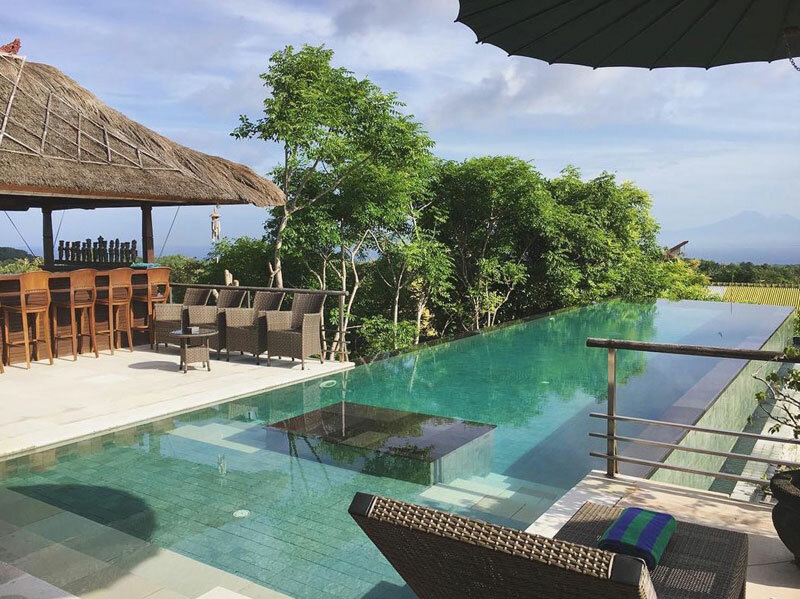 Located in the rural hillside, the villa is perfect for a nature-themed party, as it features various water views such as pools and waterfalls. 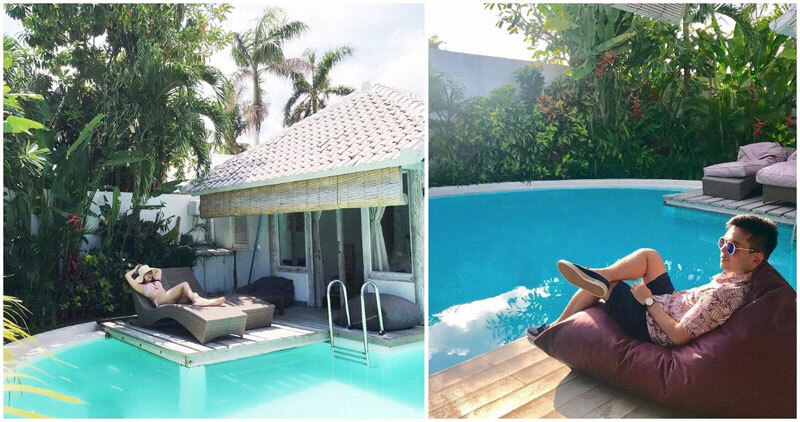 With outdoor massage bales, outdoor dining areas and a spacious poolside lounge where you can indulge in drinks from the bar – you definitely won’t find an unamused guest trying to sneak off inside. 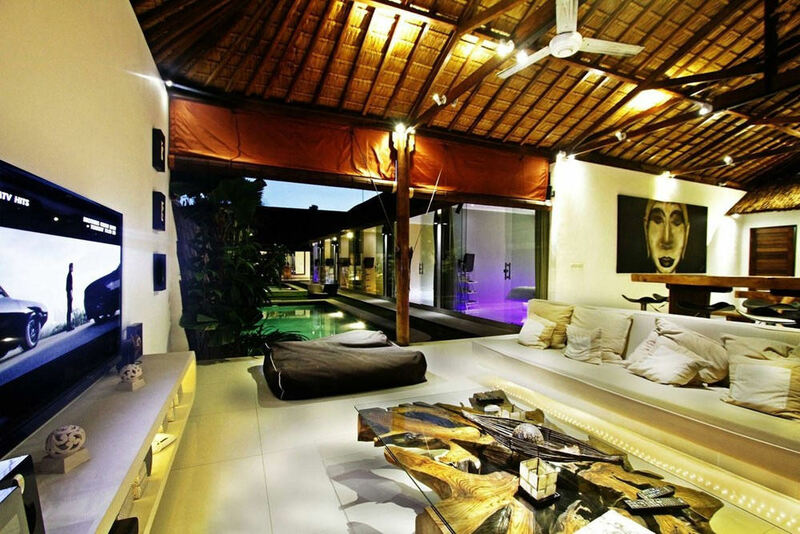 This six-bedroom villa in Seminyak would make a great location for an all guys’ party – it’s big, has a huge gaming area, and rooms that overlook the pool. 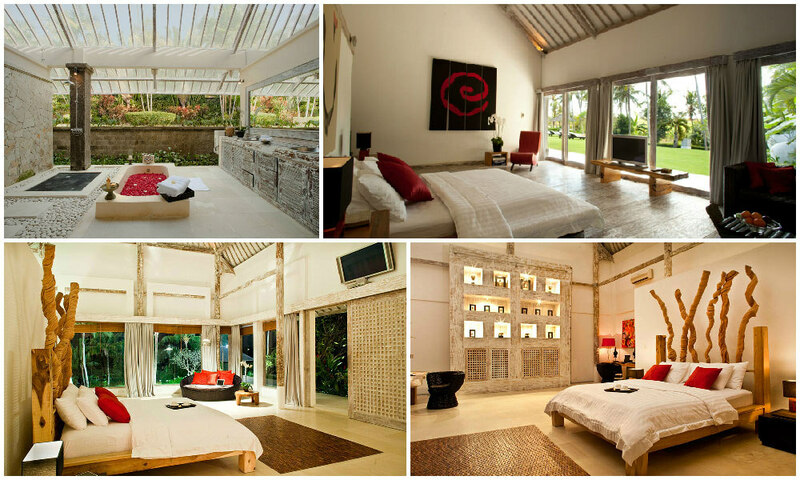 It’s also interesting that the villa’s design is a mix of both futuristic and traditional Balinese elements. 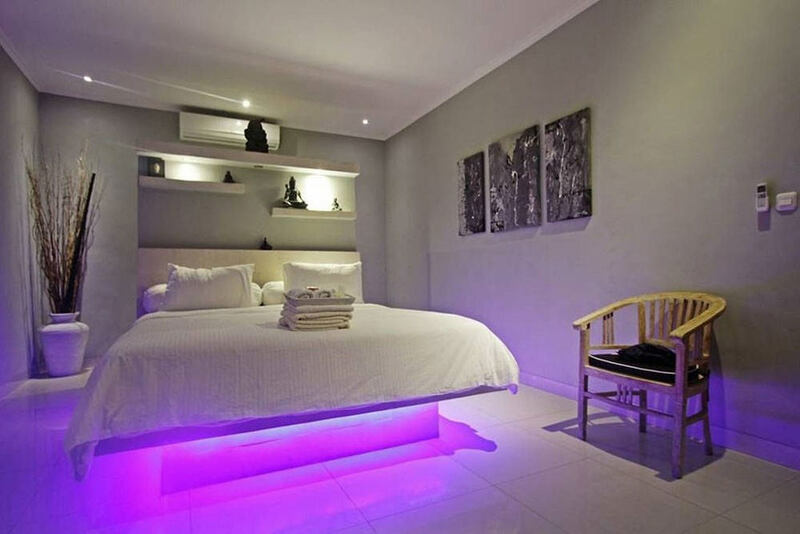 Glowing lights under your bed? 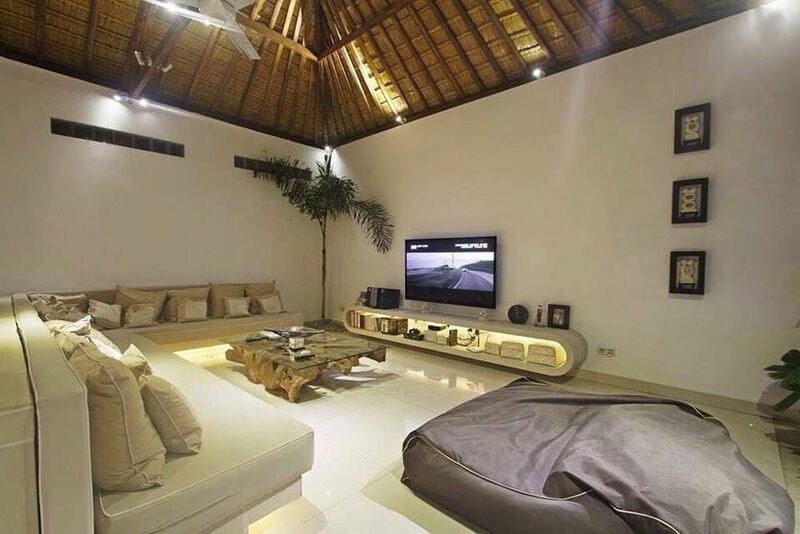 Thatched roofs with wooden furniture? You’ve got both of them in one place. 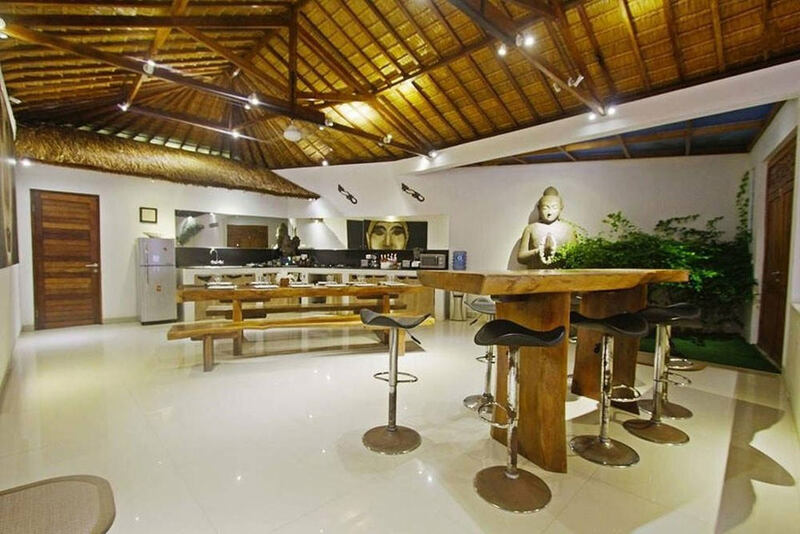 We’re not forgetting the spacious bar area that’s just made for late night drinks and embarrassing dares. One thing’s for sure – it’s gonna be a party you’ll never forget. Why settle for one style when you can have more, right? This designer NYC-style loft looks just like it came out of a hipster movie. 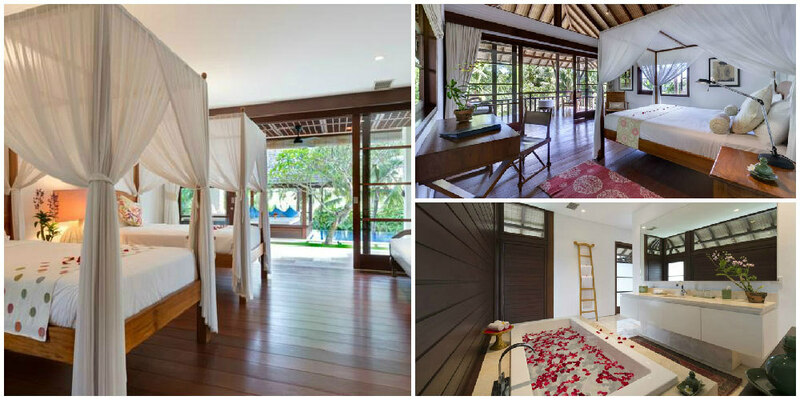 With its six wide bedrooms and spacious, open living area, you’ll feel like you’re partying in New York City instead of Bali. 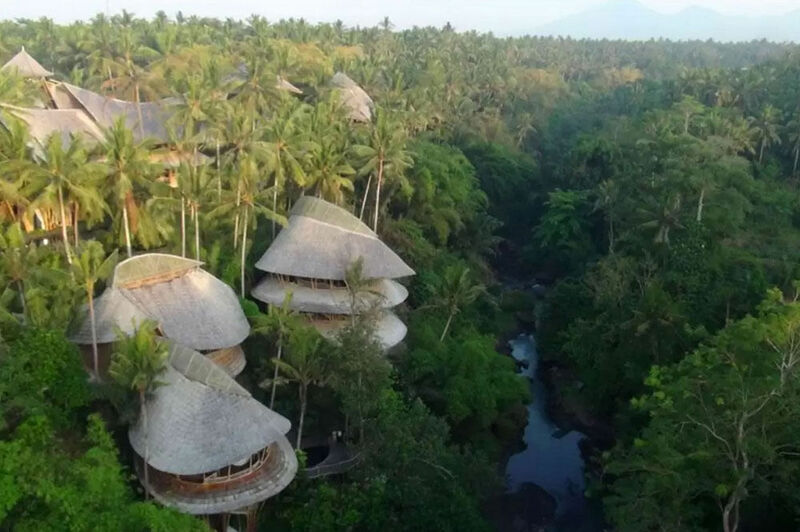 But here’s the catch – while the loft itself may look like it belongs in a busy city, it’s actually found in the ricefields of Ubud, serving as an interesting juxtaposition. 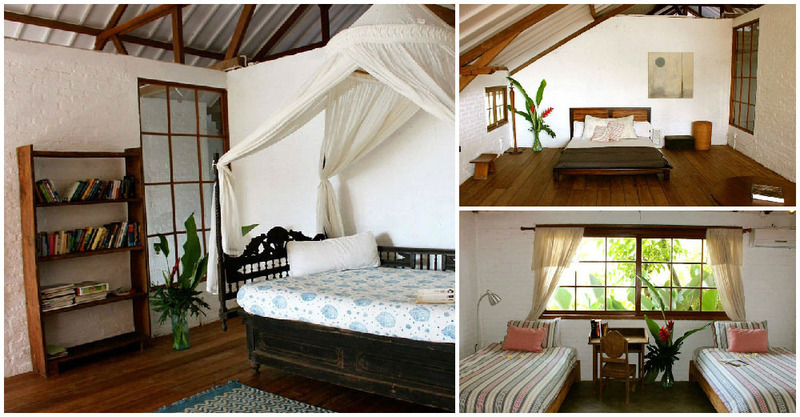 Rock it out to music in the loft, or have a cozy tea party out on the picturesque lawn? You don’t have to choose – you can have them both. 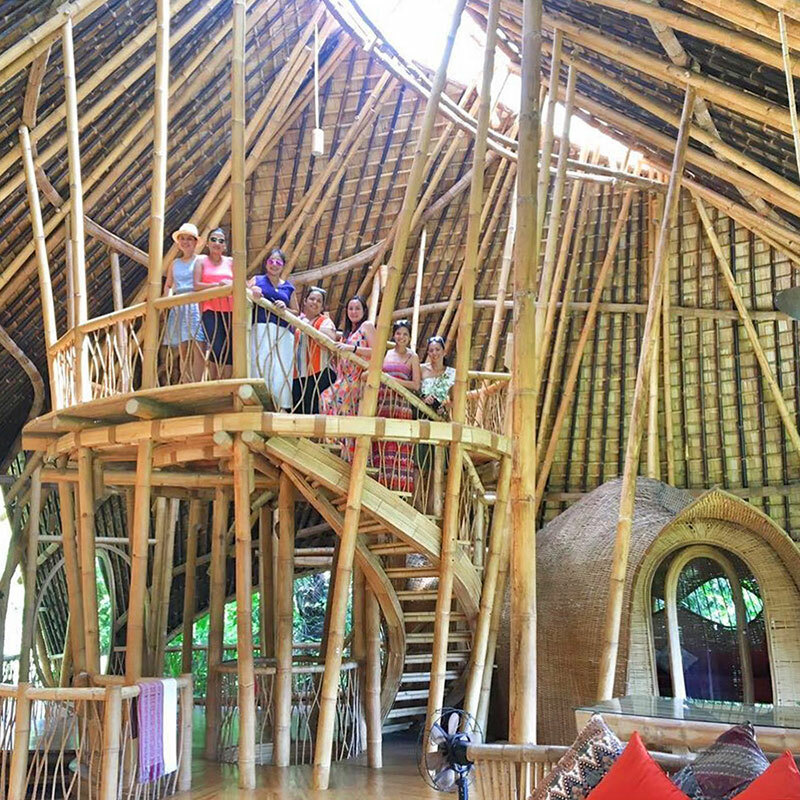 Villa Casabianca is like a mini art gallery, and if you’re someone who appreciates good architecture and good art, chances are, you’ll have a good time at this place. 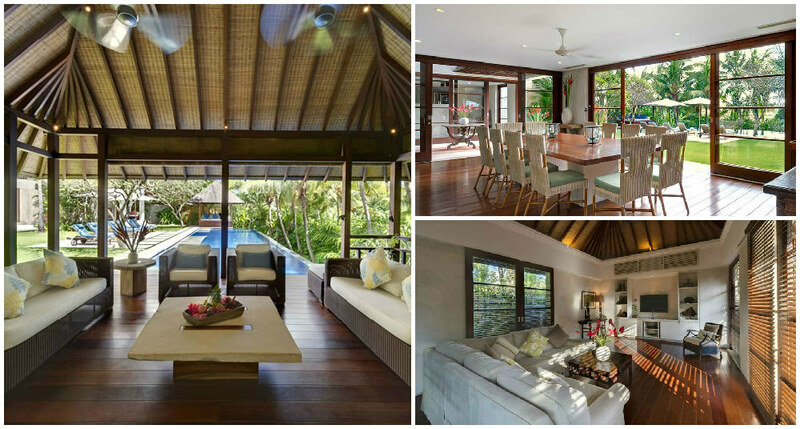 This eco-friendly villa is made for those with sophisticated taste. 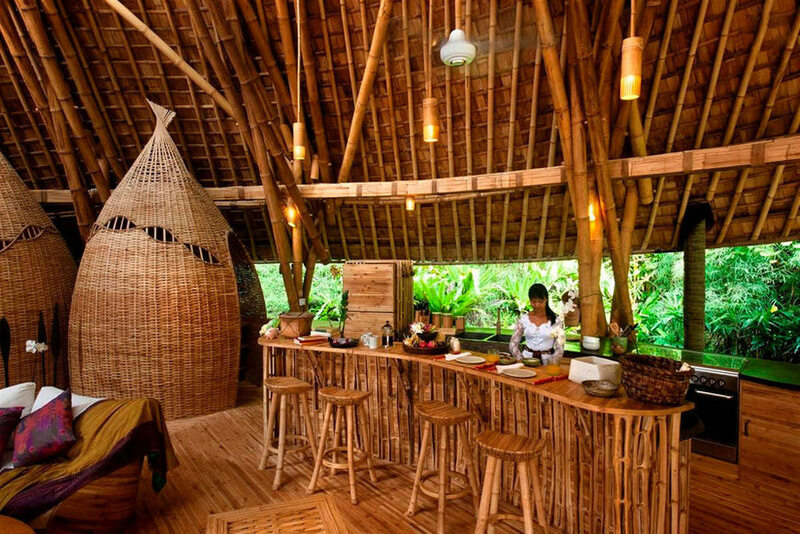 Its unique style includes natural materials such as teak wood and java stone. 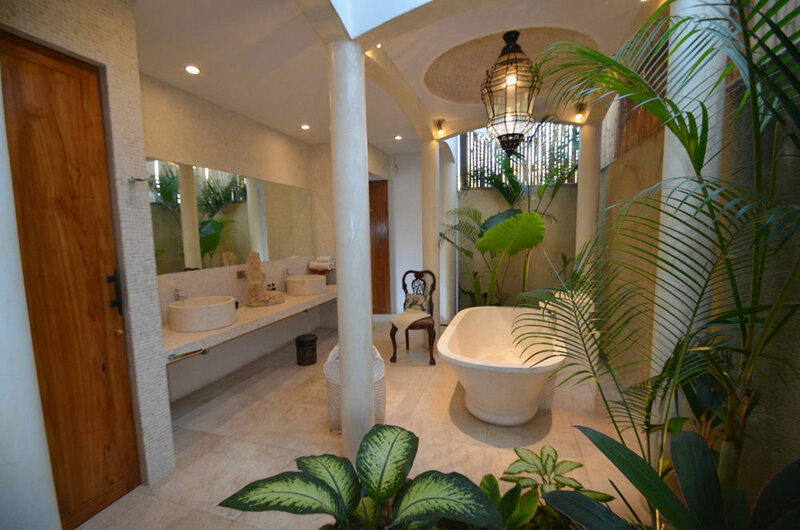 The interesting layout is also bound to fascinate your guests as well. 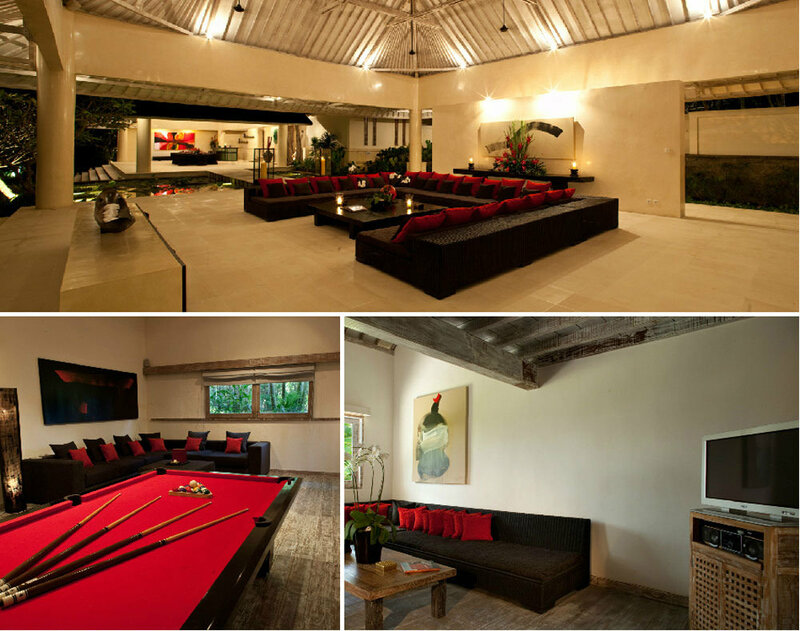 The open living and dining areas are a great place to hold a party at. Surrounded completely by floor-length glass windows that overlook the swimming pool, style and ambience come together perfectly here. 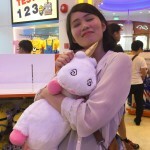 Want to show your friends that you’re someone who knows how to appreciate life and art? 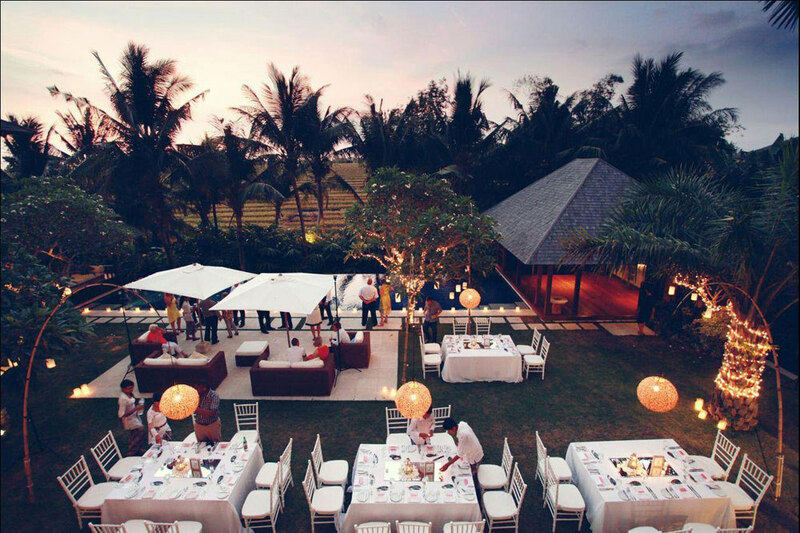 A classy gathering at Villa Casabianca would be the best thing. 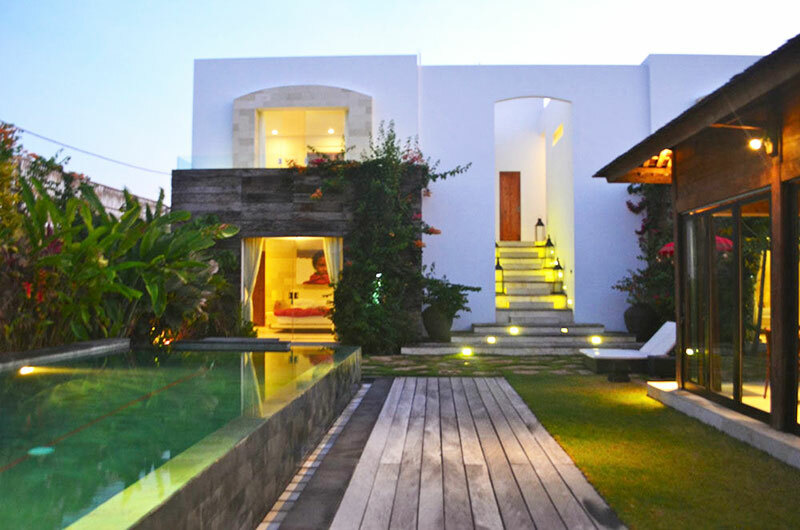 This incredibly spacious villa in Canggu is perfect for those who’re just planning to stay in all day. Don’t worry, neither you nor your guests will find yourselves plagued by boredom. In fact, you might worry about having too many things to do. 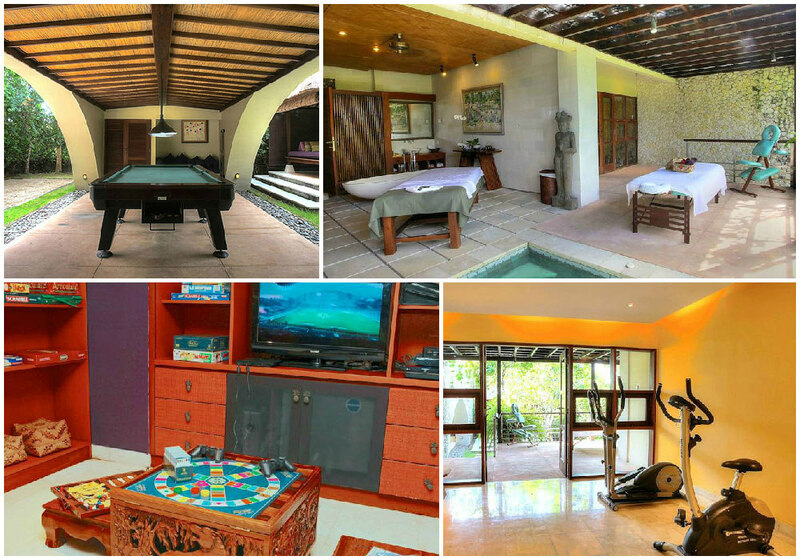 Villa Infinity is packed with tons of entertainment choices for the most happening parties, complete with a media room and large variety of games. 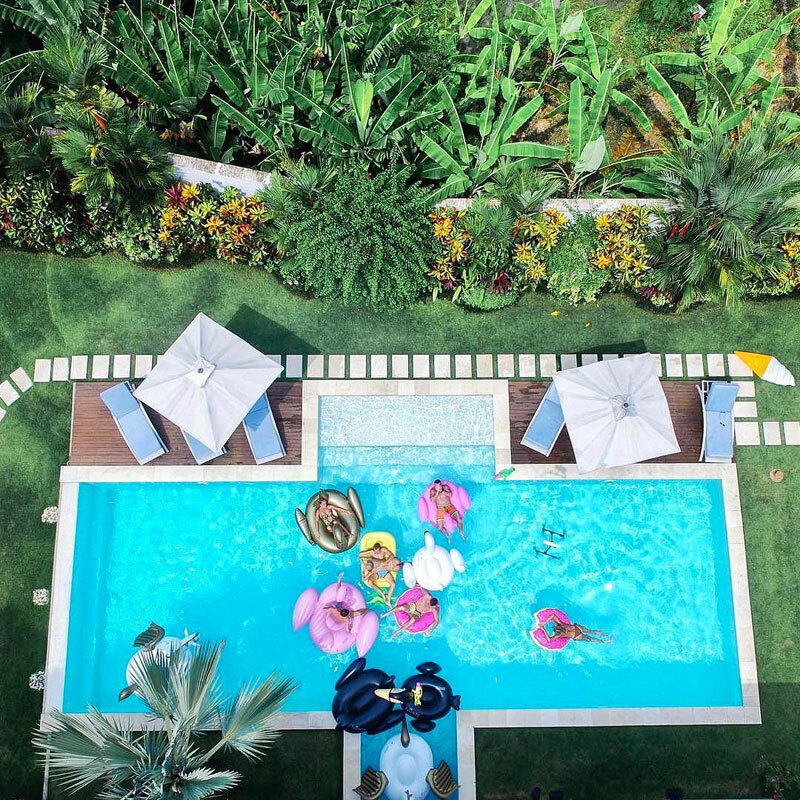 The large 40m pool is also equipped with music and barbeque facilities, so you have a choice between having a house or pool party. Guess what? It even has an in-house cinema. We doubt anyone would ever want this party to end. If special is what you want, this is as special as it’s going to get. 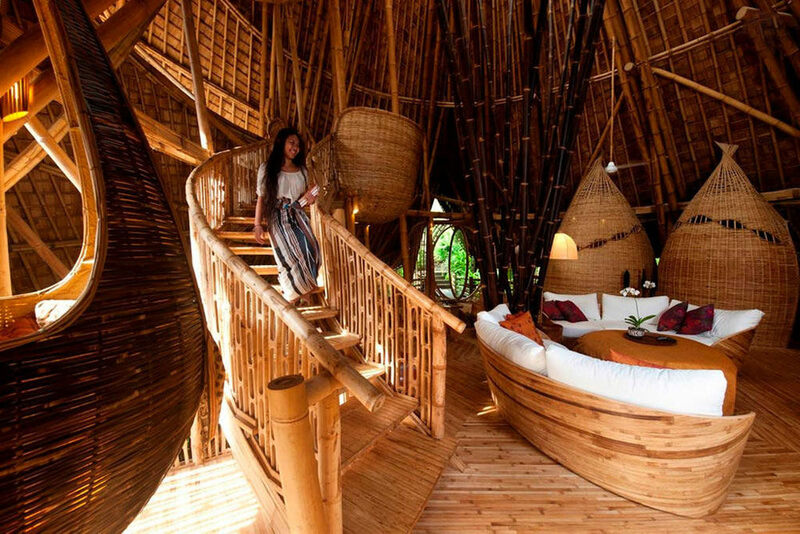 The River House, a four-bedroom, four-storey bamboo house located in Badung, is a different kind of house for a different kind of party. 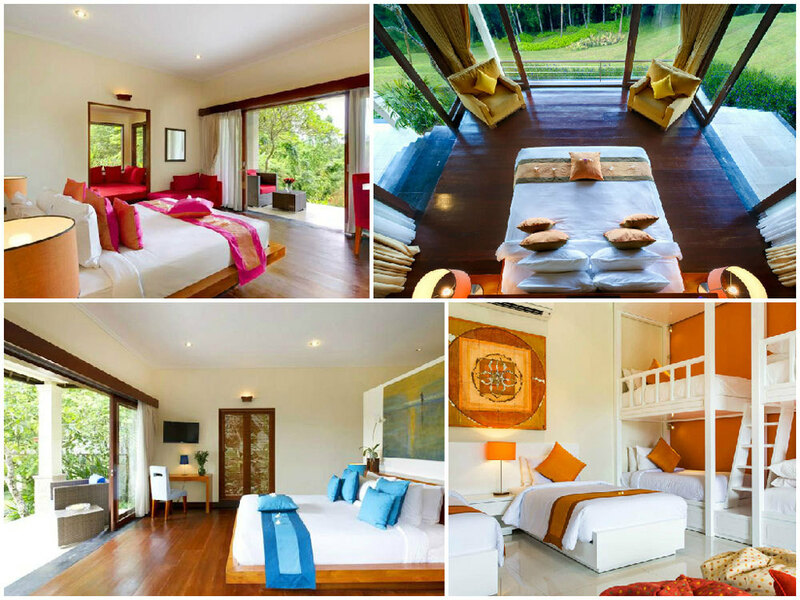 The villa, completely constructed out of bamboo, features a gorgeous view overlooking nature on top of a river valley. There are plenty of things to keep your guests occupied, even in the middle of nowhere. 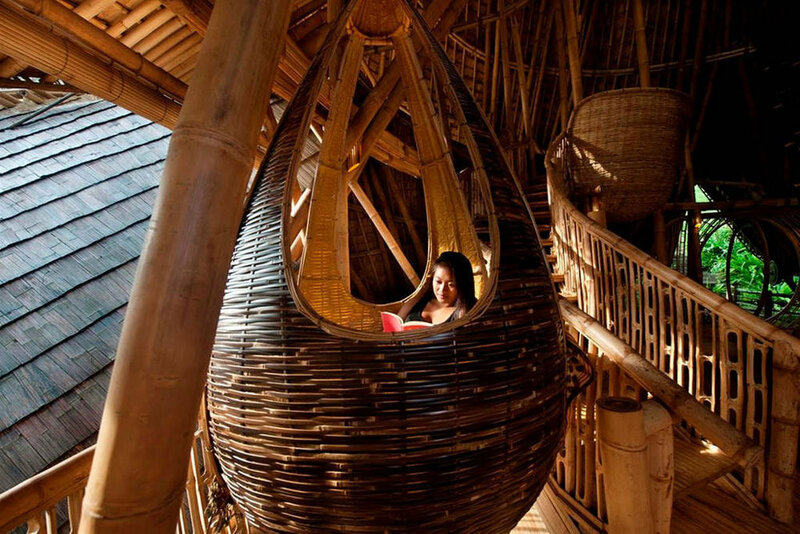 For the shyer partygoers, there are bamboo reading pods where they can have some time to themselves; while extroverts will find themselves a good time mingling at the bar area. 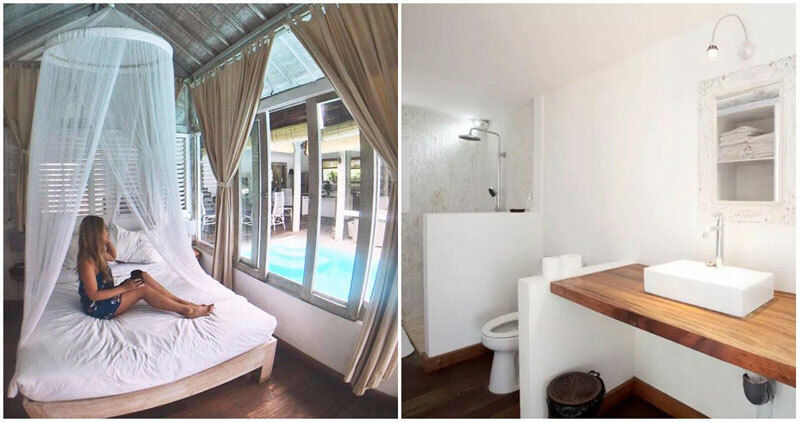 Alternatively, you can chill together in the plunge pool, or recover after a night of heavy drinking at the yoga pavilion. If all else fails, we reckon the scenery will more than make up for it. 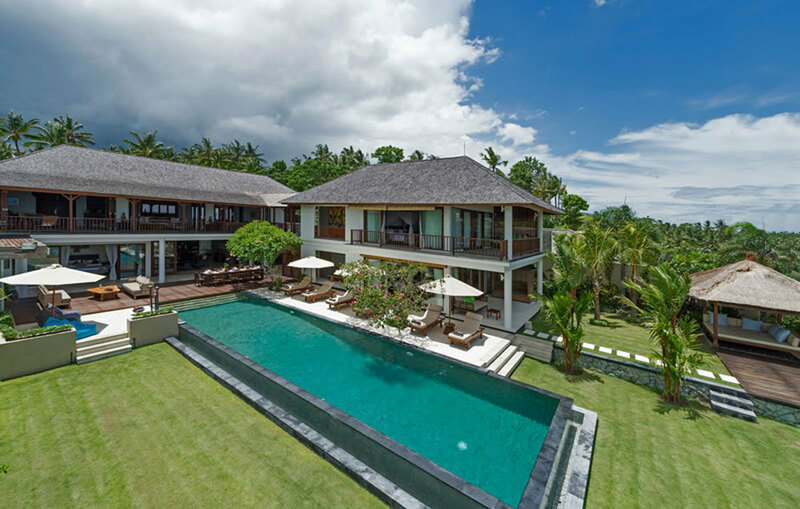 With 12 different party or wedding villas – choose the one that best suits your style, and your needs, and you’ll be all set to have the best party of your life!